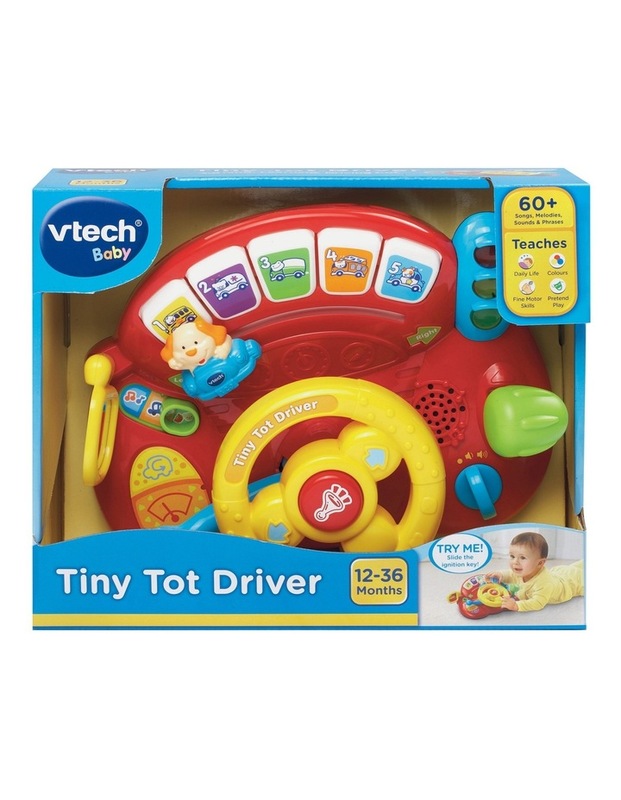 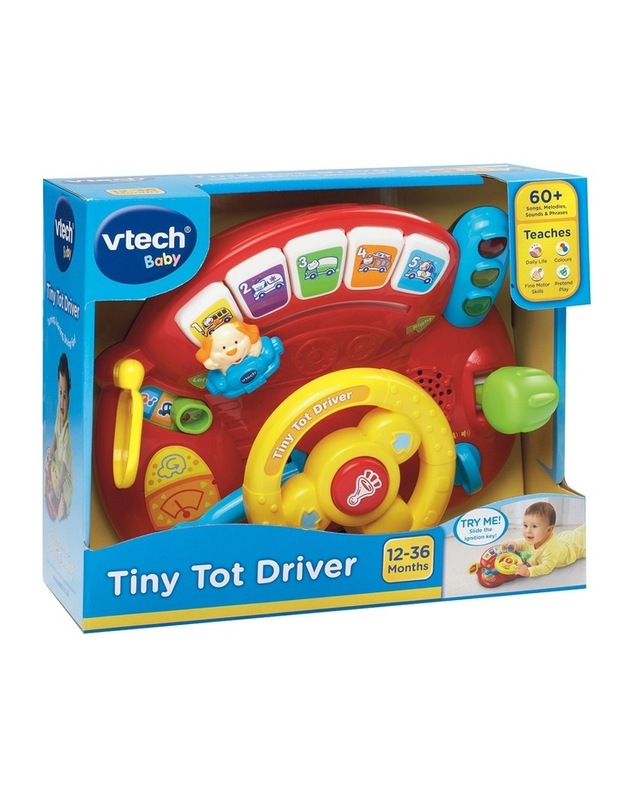 Get moving with the Tiny Tot Driver from VTech! 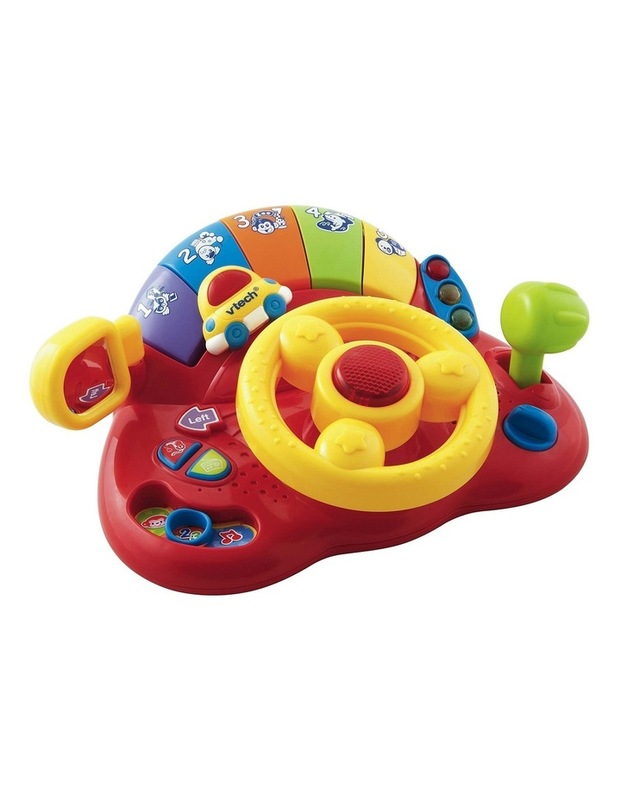 This brightly coloured role-play toy introduces vehicles, colours, numbers and animals through fun phrases and realistic car sounds. Baby can turn the steering wheel to move the mini car with the puppy and learn about different vehicles and their sounds and press the chunky buttons to hear fun phrases. 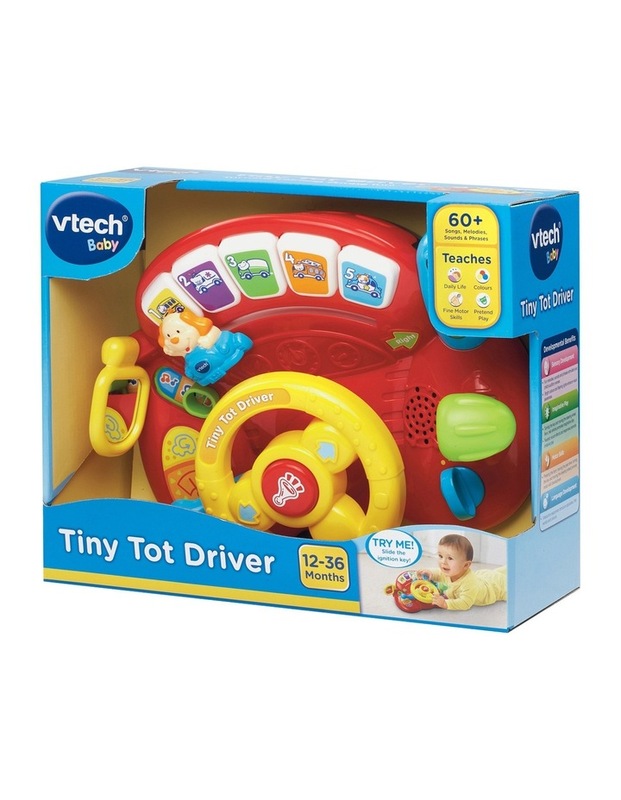 Features include three modes of play, light-up horn button, non-breakable wing mirror for self-discovery, gear stick and light-up traffic lights.